During meeting with Evangelical leaders over embassy move, Ambassador Friedman's speech disrupted by muezzin call blasting at full volume. 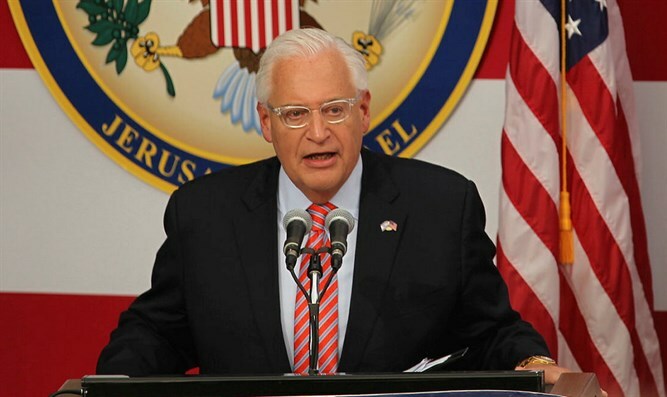 Arabs from the Abu Tor neighborhood of Jerusalem blasted a muezzin call during a meeting between US Ambassador to Jerusalem David Friedman and Evangelical leaders. The meeting was held in honor of the inauguration of the US Embassy in Jerusalem. MK Ahmad Tibi of the Joint List shared footage of the event on his Twitter account, writing in Arabic: "There is no voice stronger than the voice of a muezzin."